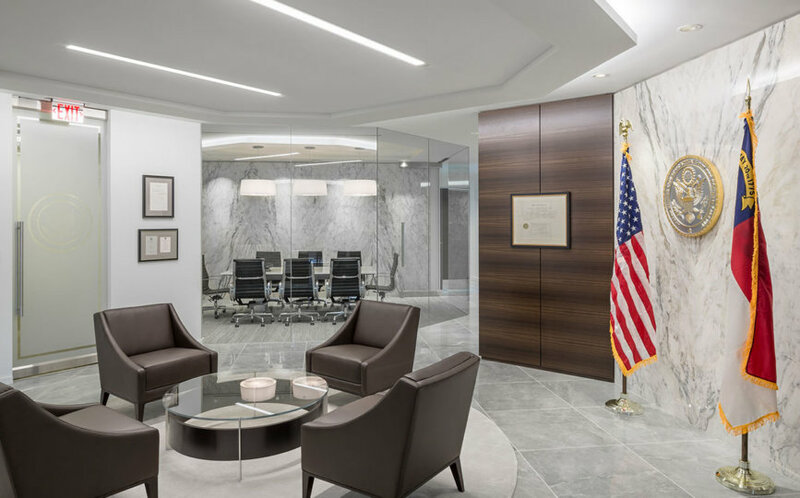 Upon the move of a government client to a new space, Barringer completed a full upfit of a new space as their new quarters. Work included all new wall construction, ceiling construction, new ceiling tile, painting, hard tile, interior glass and furniture installation. 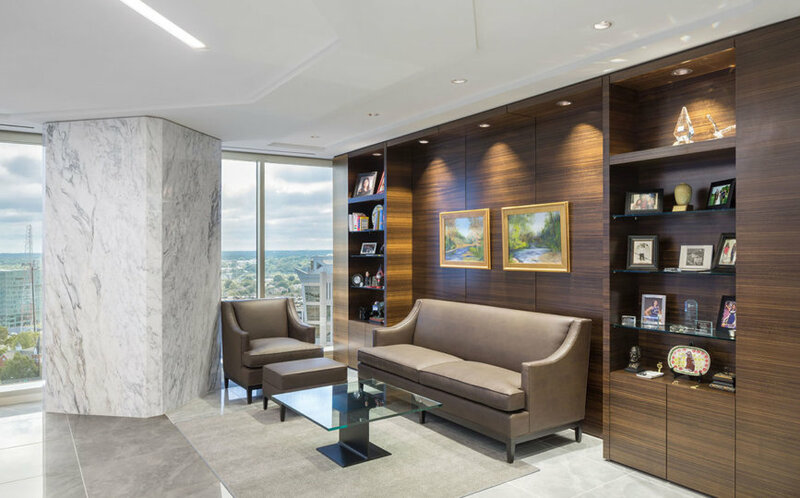 All finishes were high-end, including gorgeous stone flooring and custom millwork. 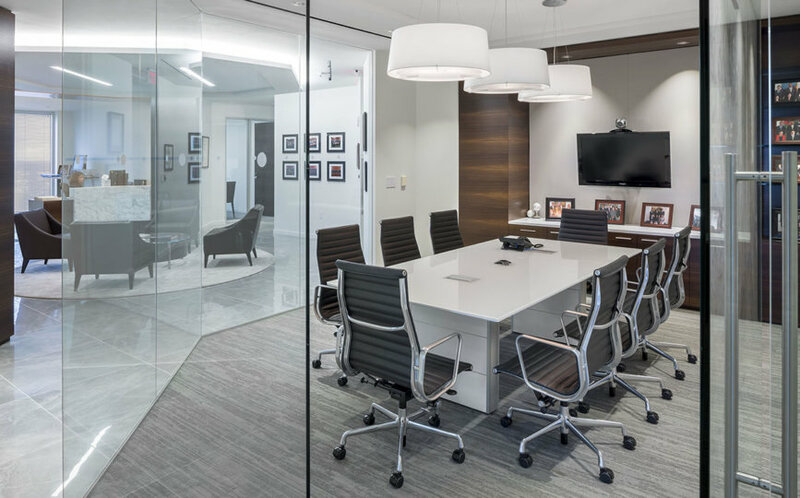 All new conference rooms, offices and a new reception and elevator lobby area were added. Many WELL components were used throughout the office space, including height adjustable desks.